Last year, after various stops, Lollapalooza Berlin finally found a home in the heart of the city, in Westend in Berlin: the traditional grounds of the Olympic Stadium and the Olympic Park in Berlin turned out to be the perfect location for the major event Lollapalooza, where it will be performed with never-seen-before magic, creating unforgettable moments and bright faces among international audiences. We are looking forward to creating a fascinating world of music, artistry, art, adventure, and lots of fun again this year. 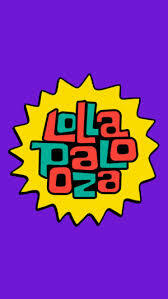 With more than 21 million albums sold and several Grammys awarded, Kings of Leon will visit Lollapalooza Berlin for their only 2019 gig in Germany and present their brilliant live show, which will include songs spanning the bands celebrated 7 album catalog. The performances by Axwell, Steve Angello, and Sebastian Ingrosso will be just as excessive and as exclusive. Together, the Swedish trio forms the supergroup Swedish House Mafia, which has shaped global dance music like few others. 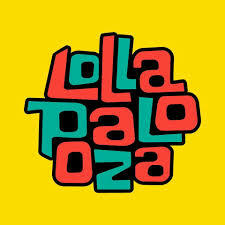 After a four-year break, the Scandinavians are now back at the controls and ready to launch their only Germany appearance in 2019 on the Lollapalooza Mainstage. From pop to punk, from emo to rap – genre boundaries are foreign words for TWENTY ØNE PILØTS, as proven by their catchy hits “Stressed Out” and “Heathens” and their appeal to the general public. Also representing the unmistakable sound of their young generation are Khalid and Billie Eilish, who will be guests on the Mainstage as well. Kraftklub from Chemnitz will perform their only gig worldwide in 2019 at Lollapalooza Berlin. We are looking forward to their appearance in the Olympic Park and can already imagine the singing crowd during hits like “Chemie Chemie Ya”, “Schüsse in die Luft”, or “Kein Liebeslied”. The world’s largest “Perry’s Stage” among all Lollapalooza festivals worldwide is for the biggest international headliners: for the first time in history, the stage is being curated by an artist. On Sunday, none other than Martin Garrix takes over the helm with his own label, STMPD, bringing Don Diablo, Loopers, TV Noise, and Bart B More as special guests. On Saturday, Alan Walker, Scooter, and the legendary electronic duo Underworld, among others, will add to the euphoric mood in Berlin’s Olympic Stadium. The capacity will be significantly increased this year, with even parts of the stadium bleachers open to dance lovers. This year too, the crème de la crème of German rap will be present, with younger representatives such as Bausa and Berlin’s UFO361 as well as established acts like Dendemann. We can expect a handmade sound from the Irish folk singer and songwriter Andrew Hozier-Byrne, or Hozier for short. With millions of Spotify streams, the Grammy-nominated star is currently working on his second album “Wasteland, Baby!”, which is eagerly awaited in the spring after a four-year creative break. In the spirit of festival founder Perry Farrell, international and local tastemakers will be on the “Alternative Stage” and in the “Weingarten” as well as current hot stage acts: 6LACK, Parcels, Rex Orange County, Courtney Barnett, Serpentwithfeet, Pip Bloom, and Amilli will make the hearts of music lovers beat faster. An amazing program is planned for the little guests too. Olli Schulz will play an exclusive set in “Kidzapalooza” besides his appearance on the Mainstage. In addition, the magic duo Siegfried & Joy as well as musical acts such as Baked Beans, Suli Puschban, and the Springteufel DJ team will create the lovingly designed supporting program in the riding stadium of the Olympic Park. 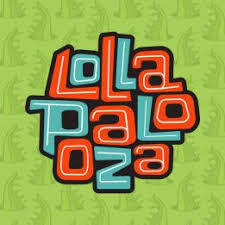 But that’s not all: shortly we will announce more top artists for Saturday and Sunday as well as more details about the Lolla worlds “Lolla Fun Fair”, “Green Kiez”, “Fashionpalooza”, “Kidzapalooza”, “Aquapalooza”, and the “Weingarten”.